Vaper Choice is considered as the best vape shop in Sydney, Sydney CBD and Australia which is also quite popular in Parramatta, Penrith, Liverpool and Campsie. We have a dedicated team meeting all your vaping requirements with a wide range of electronic cigarettes, starter kits, e cigarette liquid, nicotine e-juice in Australia. 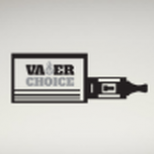 If you are searching for the answer to the question, ‘where can I buy electronic cigarettes in Sydney’ or ‘where can I buy nicotine juice in Sydney’, Vaper Choice is going to be your ultimate destination. Our electronic cigarettes are 100% authentic that gives you the freedom to control the smoke level without any ash residue or tar to deal with. We import our premium e-juices from world-leading labs that do not leave behind any foul taste in your mouth but instead allows you to feel refreshed with the presence of flavours suiting your taste. If you are a beginner in vaping or trying to switch from traditional smoking, our store has it all to satisfy you. We are the best in terms of pricing compared to all Australian vaping store. We allow you to use Zip Pay with which you can buy the products now and pay later. When it comes to vape MODs, we have an enriched collection of high-end appliances that you will love to use.